Good afternoon everyone! I hope you are all having a great weekend. Weather has been perfect and feels perfect for Halloween. 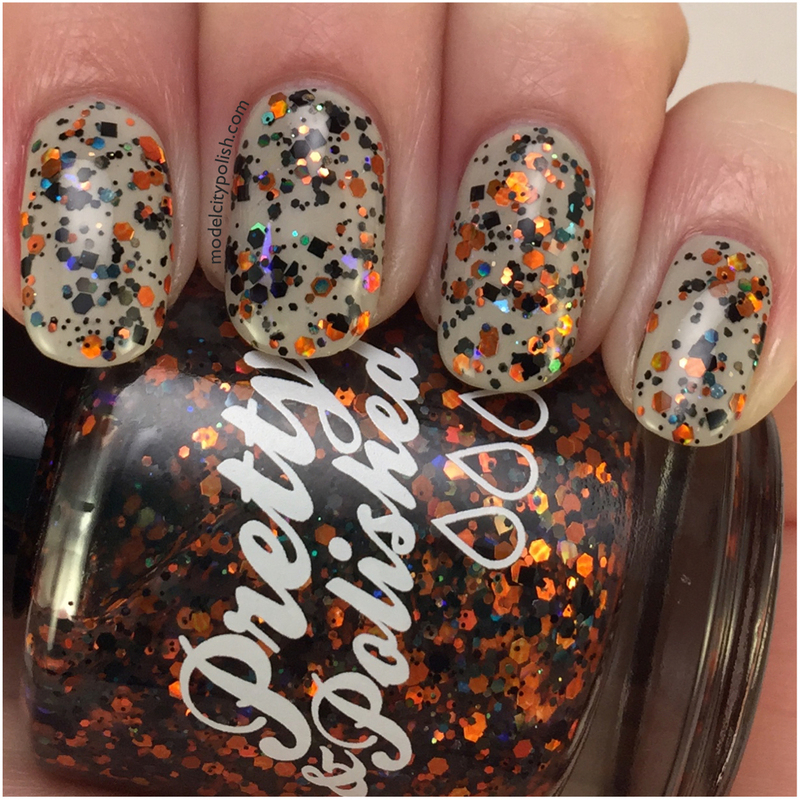 Getting in the spirit of Halloween I am going to share a lovely Halloween blend from Pretty & Polished. 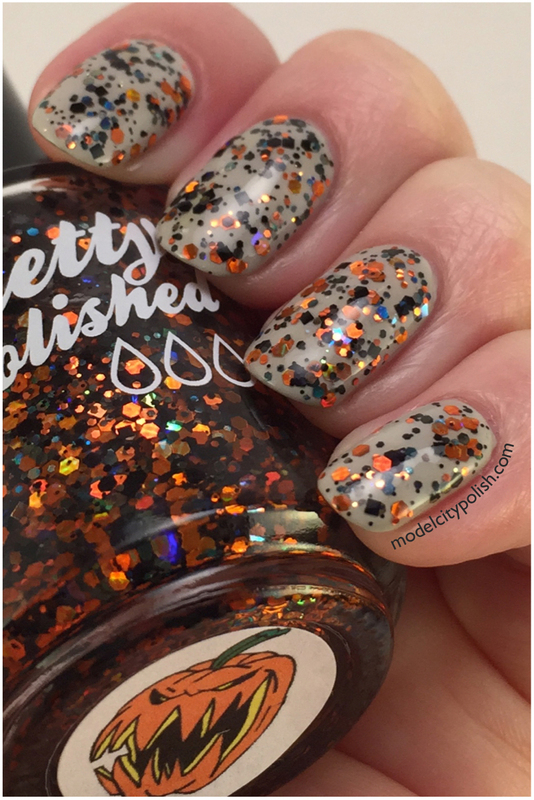 Earlier this month I shared the new Halloween trio and as a bonus for those who buy all three gets a wonderful glitter bomb for free. 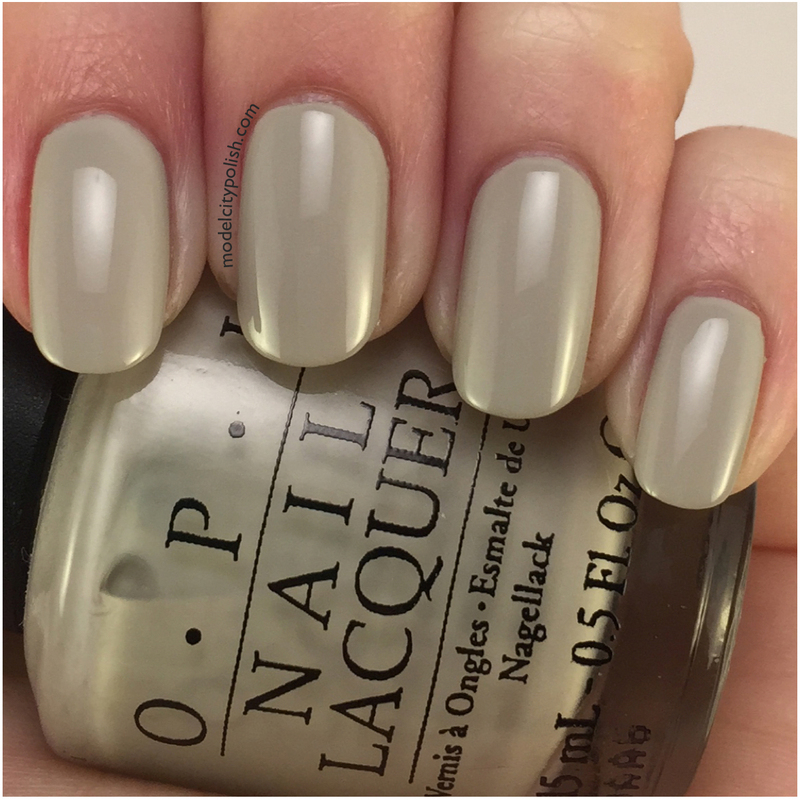 I started off using OPI Skull & Glossbones for a fun taupe base color. Formula was a little thin so I used three coats to get a solid finish. 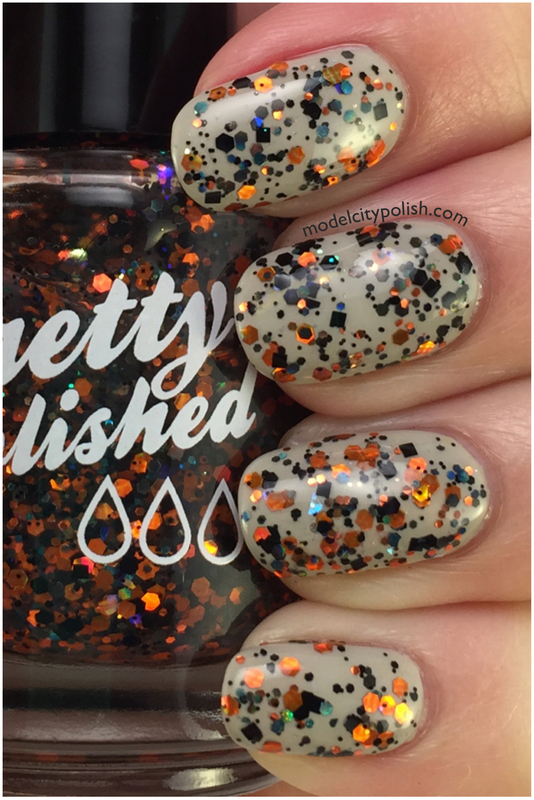 Next up is the lovely Pretty & Polished Halloween Trio exclusive bonus blend. 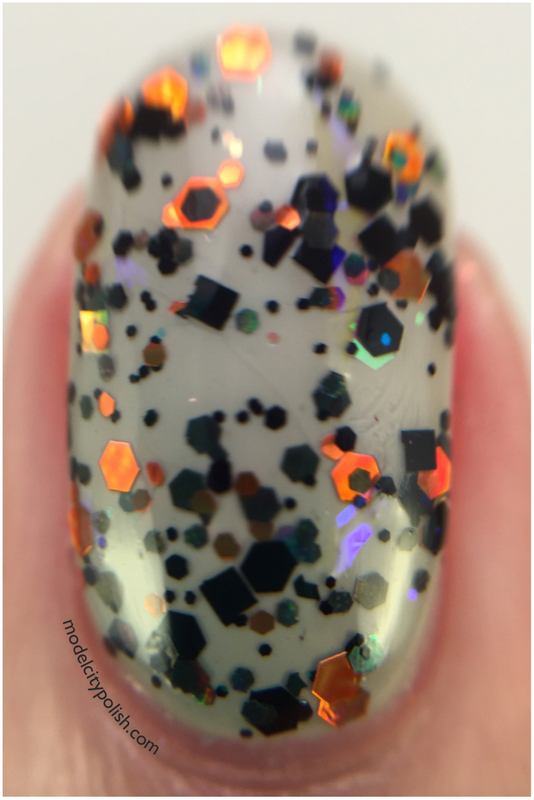 This is a clear base blend with black and orange holographic glitter in various sizes and shapes, and iridescent shards and hexes. 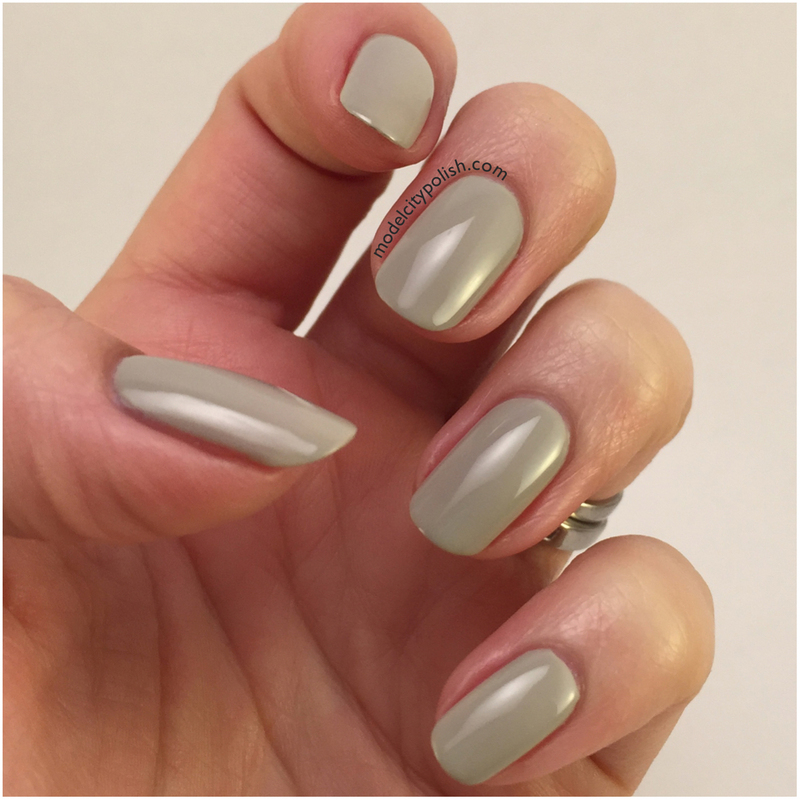 Application was great and with a little brush/dab combo I had full coverage in just one coat. I sealed everything with a good coat of Gelous. 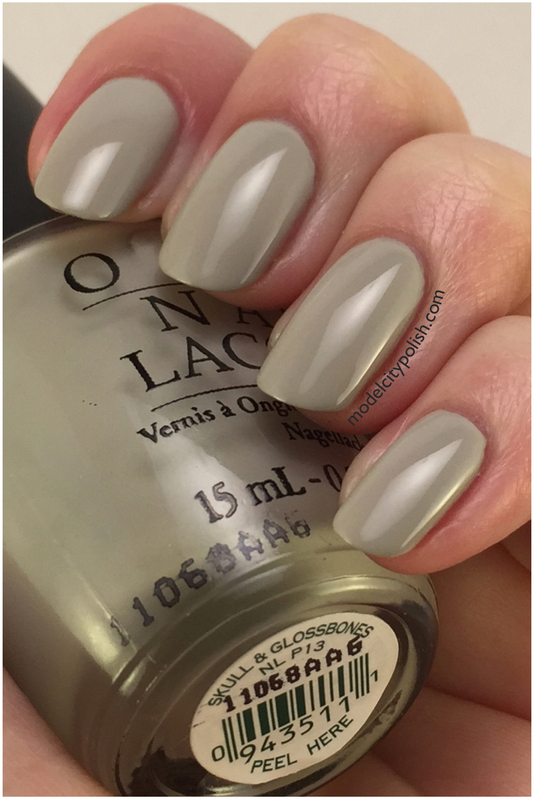 The Pretty & Polished blend was provided as a gift and that does not influence my review.